The Independent Hearings Panel hearing submissions on the council’s Unitary Plan last month released interim guidance on Special Character and Pre-1944 Building Demolition Control Overlay. The independent panel rejected a council proposal to protect all pre-1944 houses not already covered by special character or heritage controls. One of the issues our community has been very strong on is the need to preserve the historic character of our villa and bungalow filled suburbs. 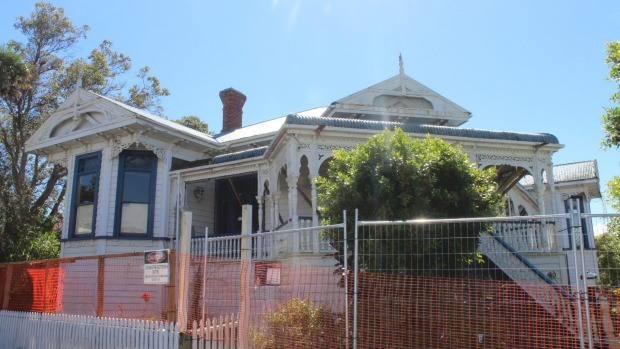 The ‘death by a thousand cuts’ of the slow but steady destruction of fine examples of such historic character like the 1880s Paget St cottage, the Jervois Road Erewan Thai villa, and more recently the two early 20th-century Crummer Road Victorian villas. These examples are but the high profile ones of many that we have witnessed over recent years. Any demolition of a character home, only to be replaced by a modern rendition of character, is a loss of amenity suffered by the whole street, and is rightly met with indignation and resentment from people who have consciously settled in the older inner suburbs. We all know we need a city that can intensify well, to provide for the nearly one million more people that will live in our city in 30 years time, to ease the growing housing shortage that is resulting, and to provide housing choice for our children and grandchildren. There is a tension between the two objectives, but our historic inner city suburbs make Auckland special, and managing that tension, whilst preserving our character suburbs is an important challenge we must meet as a city. The Waitemata Local Board responded by making ‘a distinctive, high quality urban environment that embraces our heritage’ as one of its six priorities. Some suburbs have rules preserving their character. The more restrictive Residential 1 areas of some of the villa suburbs, and the less restrictive character suburbs of mostly bungalows of the Residential 2 zone. The areas assessed under existing plan rules were not universally adopted as Auckland City Council adopted the ‘representative suburb’ approach. Suburbs such as Westmere, and much of Grey Lynn were simply left out. Westmere for example is the highest density bungalow suburb in Auckland. The Unitary Plan was an opportunity to remedy this situation. For 18 months I sat on the working party that helped shape the draft Unitary Plan rulebook. Heritage, with the backing of my fellow board members, was our special focus. We helped Councillors from outlying suburbs ‘get’ what made the inner suburbs tick. Through a concerted effort of Councillors Mike Lee and Sandra Coney, and myself, with support from the Waitemata Local Board as a whole, we introduced the concept of the Brisbane-style precautionary approach of the pre-1944 housing demolition overlay. After much debate, the Council got it. Quite an achievement. The house demolition industry was not pleased. They resourced up to fight another day. The pre-1944 overlay concept, still much watered down from the Brisbane model, introduced provisions preventing unconsented demolition of pre-1944 buildings, and applied it to parts of Auckland which were settled pre-1944 and where there is a concentration of pre-1944 buildings. A resource consent was to be required before pre-1944 buildings could be demolished or removed. This was intended as an interim measure to control demolition until heritage surveys could be completed in these areas. The rules did not prohibit demolition of all pre-1944 buildings covered by the provision, but provided an opportunity for Council through the resource consent application process to assess the heritage values of the building and whether demolition was appropriate or not. It was to be the protector of the community interest. The interim rules reflected feedback from communities wanting to protect historic heritage properties in their local area that hadn’t previously been assessed under the old district plans. Our local board took the view that assessments once completed may have been largely academic if suburbs had already been up-zoned for future intensification in the Unitary Plan, and worked very hard to have much of Grey Lynn and Westmere stay down- zoned. These were the only two suburbs so treated. We celebrated the outcome. The heritage assessment of these two suburbs has been prioritised and recently completed and will be available shortly. The government set up an independent hearings process for the Unitary Plan, with a panel of independent members led by Judge David Kirkpatrick. There are no locally accountable elected members on the hearings panel. This in itself did not bode well for the integrity of the political process. The panel has been busy hearing submissions in a David versus Goliath setting, where certain well-resourced objectors, such as the property council, the housing demolition industry and Housing New Zealand are up against community-funded volunteers such a residential and heritage groups, endeavouring to defend the limited historic character protections built into the Unitary Plan. The independent hearings panel has now issued an interim guidance decision saying that based on evidence, the pre-1944 buildings are not deserving of historic heritage scheduling or inclusion in a special character area. The panel has substituted its policy assessment for Council’s political assessment. Brisbane clearly did not have an independent panel making its plan decisions. The panel does not support the inclusion of additional special character areas in the plan “at this stage” and says they should be addressed by a future plan change – a legal process that can and has in the past taken years. Plan change 163 resolving the Residential 2 character rules is still not final after being notified mid-2005. “The pre-1944 demolition control overlay is placing unnecessary constraints and burdens on landowners seeking to develop their properties,” the panel said recently. ‘Unnecessary’? That was precisely the point panellists. There was no evidence, the panel said, to suggest pre-1944 buildings were at any significant risk of demolition, relocation or areas were at risk of losing their character. The Panel considered that there is inadequate analysis and evidence to justify this overlay. We’ll see that is not an evidence based conclusion when the assessments of suburbs recently completed are available. For example the coastal areas of Westmere will no longer retain their historic character in any cohesive way deserving on going protection. This is all very disappointing, and goes to the heart of Auckland being able to govern itself in a democratic and accountable way. So the struggle continues. Be assured your local board will not let this issue go, and will be continue to fight for a community that embraces its heritage.